After a stint in a Massachusetts county jail and a longer sentence in state prison, it was time for George Sylvia to listen to some good advice. George, a native of New Bedford, Mass. who served in the Marine Corps from 1977 to 1981, had become addicted to prescription medication while undergoing a yearlong trial dental procedure during his first year of military service. By the time of his honorable discharge, after serving in such faraway locations as Japan, Korea and the Caribbean, his addiction to the medication had become completely unmanageable. After his discharge at Camp Pendleton, George became immersed in the Southern California drug culture. His addiction remained with him for 19 years, though he said he held full-time employment as a “functioning” addict for the first 10 years. As his life became completely dysfunctional and he was diagnosed with depression due to the extreme drug abuse, George was incarcerated twice upon his return to his native Massachusetts. He was sentenced to a year in the Bristol County Jail in Dartmouth for Class A drug distribution, then received a second sentence of 5 years and 8 months in the Massachusetts state prison system for distribution of narcotics to support his growing addiction. It was during his final year of incarceration that George attended a presentation by Soldier On Outreach Coordinator Willie Ledbetter, himself a former homeless veteran who had served prison time following the path of drugs and crime. Inspired by Willie’s testimony, George arrived at Soldier On in Leeds, Mass., three days after his release from prison. Ten days later, he transferred to the Soldier On transitional living facility in Pittsfield, Mass. There, he found work through a temporary employment agency, and earned the Employee of the Month Award while working for Interprint, Inc. That company then hired him full time, and he remained employed there for 22 months until he was offered a position with Soldier On to be part of the management team overseeing day-to-day operations. 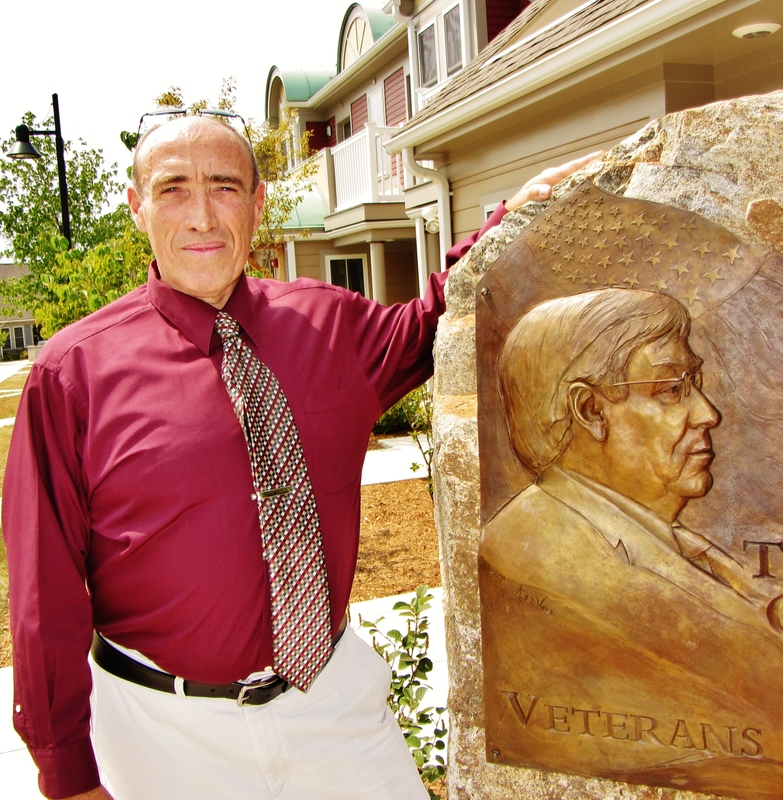 He held that position for about four years, then became the Soldier On Employment Coordinator and Veterans Skills Development Center Manager in Pittsfield. In this position, he is responsible for finding employment for veterans and developing employment opportunities in the community. At 53, George has settled into his position at Soldier On, and resides at the Soldier On Gordon Mansfield Veterans Community, a first-of-its-kind, limited equity permanent housing cooperative for formerly homeless veterans. He has become active in the Pittsfield community over the past seven years, and says he was honored by the opportunity to serve on advisory councils for the Red Cross and Elder Services of Berkshire County. He has also enjoyed “12 years of sobriety thanks to the support and encouragement of the Soldier On community and the management here,” George said. He has been given the opportunity to rebuild relationships with his family and the community where he resides, and serves on the Board of Directors of the Gordon Mansfield Veterans Community with fellow veterans.